Lovely shoes, good quality, slightly bigger than expected (for their size) be aware of that. This model gives you a good increase in high, the shoes elevator is not obvious at all but you might like to make your new trousers a little longer, try them on with the Chamaripa shoes for prefect fit. you need to get use to walking with them, no big deal though! they look great, I'm really happy, many thanks. Plz don't buy it cause it has a rubberized sole which get flattened in a week.. Worst its sole started to detach from upper part & stitching torn. Now i have to buy other shoe rather than this that too within a week. Thanks for your feedback, we apologize for the quality problem of the shoes, we offer 30 days returns policy, please send back the shoes and get the new replacement. Great experience. I have never written a testimonial before. You guys deserve it. I bought my first pair 2 months ago and bought 3 pair since. I don't think I will buy from another shoe company again. It's cool to walk around the mall and not care to look at shoes. I have my shoe guy !!! My house keeper also wants to thank you guys Your shoes are awesome looking , amazing quality , perfect comfort. My name is Alex I am a shoe addict... Keep me posted on new styles. hi i am writing this to let you know i have received my shoes today .thanks for designing this types of height enhancement shoes now i feel really confident in walking and approaching anybody for my work and friendship. it has revamp me completely. I highly recommend this shoes to all who wants to look tall. I have purchaged and worn trendy, sporty, dress and casual category shoes from Chamaripa and from other like retailers. Chamaripa shoes are a much better fit for my narrow foot and they are always of the highest quality leather designs and craftsmanship that I am proud to wear. All of them have been shoes I would have normally purchased from other retailers but I would not have received the added height enhancement. The promotional sales are fabulous as well and I have recommended the site to friends and family as well. The staff have been professional, friendly and prompt about answering my email inquiries. I bought the show for my son online on Black Friday, it did not fit so I requested for replace. The customer care was prompt and replace the item free of cost. He loves it and have been wearing it everyday. if you want a little more room I’d suggest ordering a half size up. Either way they go with any and everything and they’re just cool to pair with your everyday outfits. In first look these caught my eye. Reminded me of a style I wore in the past. When I bought this I thought I would look like those 50+ year old men wearing what they shouldn't, but I don't.Everyone that seeds them say they look great and they are so comfortable! Comfortable and stylish. They sit high as far as the sole. I like that look. Got the for my s/o for Valentines day. especially because he wanted to look tall while going out with his girl. He was really happy wearing this one. But I would strongly recommend that you get a size up or at least half a size. They wear a size 9.5 so but I had to exchange it for a 10.5 and it fit perfectly. It is just pretty tight around the toes. Overall, it was a nice gift. I love my new Chamaripa sneakers. I bought them because of their astonishing height increasing ability, stylish look, their comfortability and the great price I got. These shoes fit my personality and I will be taking them with me on a trip that I have to Israel next week. Thank you. I purchased these shoes because my husband was starting a new job and needed black shoes. Overall, they looked awesome but they run much much too small. My husband wears a size 9 and I bought a 9.5 and he could not finish his shift due to them hurting his feet. I shouldve bought a 10, but thought they would be too big. I was a bit disappointed in the sizing. I bought a pair for my husband; he loves them right away and he is one of the pickiest person on the planet!!!! Later on, I bought another pair as a birthday gift for my father in law. He loves them! Promisingly, I will buy another pair when my husband's ones are worn down. Please keep producing as well as selling this style in Chamaripa!!! Thank you for carrying selectively nice and affordable shoes. I found this pair in black and they are the only shoe my husband will wear for work in the summer. It has microfiber which are wear resistant easy folding,feather soft which makes it ultra comfortable. In addition these are excellent breathable material. He is on his feet all day and loves them. Thank goodness for Chamaripa so carefully designed lace, close to perfection ! It has a cotton lace which is woven and firm, otherwise most of shoes lace loosen once i run for a mile. In same time these are durable and very easy to clean,which makes it like new every time i clean them. The quality and visual effects are exceptional. My husband works for UPS and is on his feet all day. These are the only shoes he will wear. It has mesh fabric , which is excellent breathable and is soft and comfortable fabric to prevent foot friction. They hold up pretty well, and he has no issues wearing them 12 hours a day. We bought 2 pairs this time because it rains a lot in the summer in FL and this way he always has a dry pair. 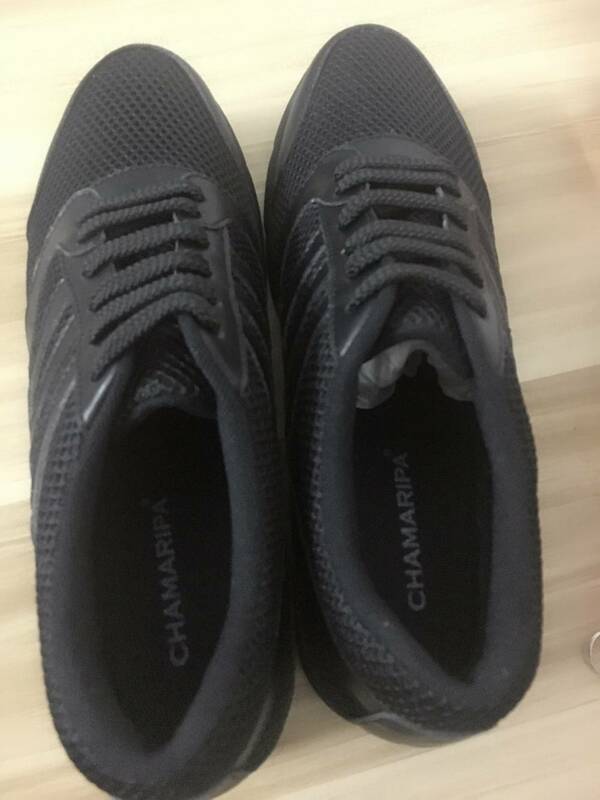 I started wearing Chamaripa Sneakers Sports Athletic Trainers Sneakers Shoes about two years ago after being treated with laser therapy by my podiatrist for Plantar Faciitis. My doctor suggested I change my shoes every six months to prevent the problem from reoccurring. So I tried on so many sneakers and could never seem to get the right fit. Finally I tried the this shoe and they fit perfectly and gave me just the right amount of support and shock absorbency. Even though I change them every six months I still keep them for other occasional wear because they have not worn out hardly at all. I wear the newest pair for everyday use at work because I'm on my feet all day as a police officer. So now I have several pairs of the same shoe but I would not trust any other shoe for work than these. The price is awesome compared to a lot of other shoes especially made for plantar faciitis. I highly recommend them. 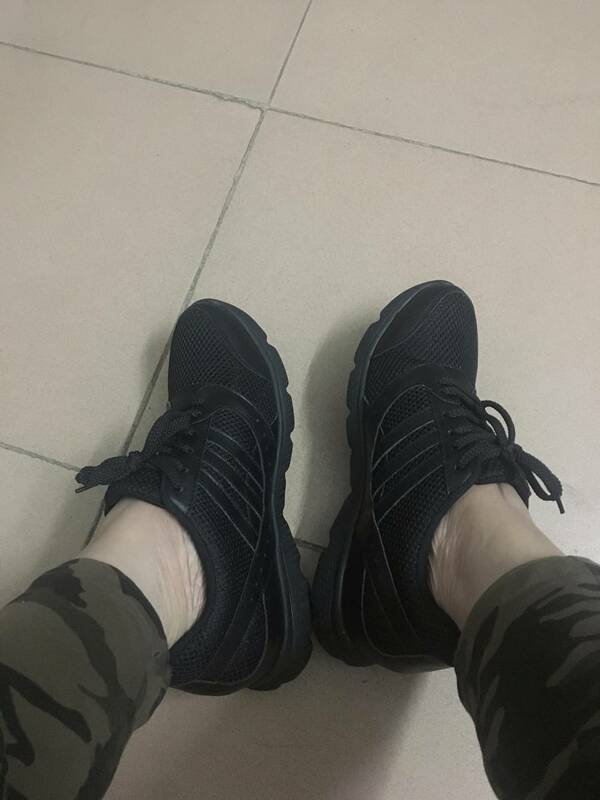 I started wearing Chamaripa Sneakers Sports Athletic Trainers Sneakers Shoes about two years ago after being treated with laser therapy by my podiatrist for Plantar Faciitis. My doctor suggested I change my shoes every six months to prevent the problem from reoccurring. So I tried on so many sneakers and could never seem to get the right fit. Finally I tried the this shoe and they fit perfectly and gave me just the right amount of support and shock absorbency. Even though I change them every six months I still keep them for other occasional wear because they have not worn out hardly at all. As i need to spend a lot of time on foot in different weather conditions i need reliable protection for my feet. Here you have what you need. These are all weather shoes, can be wore in summer /winter/rainy. These shoes made to meet my needs absolutely. Great bargain for your money.. I purchased these shoes for my boyfriend two years ago and they have become the best work shoe he has ever worn. He is on his feet all day long and this pair of shoes gives him a lot of support and his feet and back no longer hurt at the end of a 9 hour day. its a one stop solution for increasing height, without putting any effort. Its has complete changed my life 180 opposite and change my attitude towards life. more over comfort is the word of the day! These have great squish but provide positive support for cardio and lifting at the gym. I would buy these again provided the materials and last remain the same. I had already bought some similar shoes but they were not nearly a comfortable and stylish as these. I went home and compared and ended up returning the others and now I wear these for work and play every day. A great value and a great piece of footwear. Thank you Chamaripa for such a eye catching product. The Chamaripa Sports Athletic Trainers Sneakers Shoes are excellent, and very comfortable. I have had a pair before and they not only look good, but comfortable and long lasting. Material selection in these are also very good with leather uppers. Earlier, I was skeptical of this shoe at first, it is not one of the best looking shoes on the market, but it is comfortable beyond belief! I actually look forward to wearing them, since years of triathlons and marathons have ruined my feet. 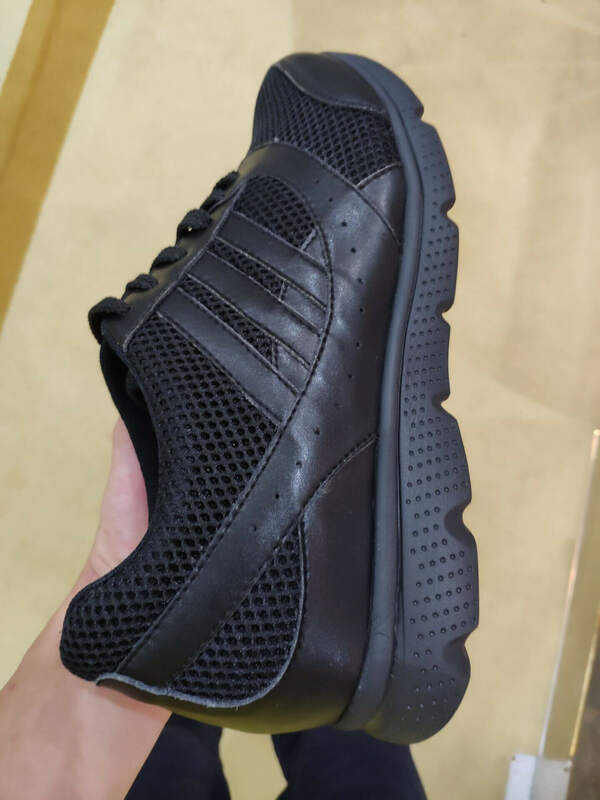 This is my first pair of in black Chamaripa Sports Athletic Trainers Sneakers Shoes. This pair fits equally well, but is a lot more stylish and versatile as the logos are suppressed. That said, I wear them in casual dress situations and have received numerous positive complements from both family & friends. Overall this is a great shoe that is extremely versatile as well as comfortable. I have to walk a lot at work. I have been buying this model for years. At this point I can't remember how many pairs of these I have owned. They are the most comfortable shoes I have ever owned. I can walk miles in these shoes without foot fatigue. I always keep a pair of white & black ones. I'm think I will get two pairs of each color, so I have them for nice wear and work wear. This is one of the best pair of shoes I have ever bought for working out. They are extremely comfortable yet perform well. I do elliptical, ride a bike, and lift weights. These shoes perform well under all circumstances. I already had a white pair but with winter coming on needs something that doesn't show as much dirt when working in the yard. These black are ideal. I bought this shoe last month for my son who has special needs and is very flat footed. In the past I had great difficulty finding a shoe that allows him to play and get the right shoe support. This was awesome for him. His ankles are well supported. He runs and jumps with ease. His balance is superb. This was definitely one of the best shoe purchases I have made for him. The Sports Athletic Trainers Sneakers Shoes is designed to do it all. Durable construction means it can stand up to rigorous training, while lightweight cushioning delivers protection and a comfortable fit. In addition online shopping at Chamaripa offers ease of free delivery and returns! I save gas and time, and shop worry free! I purchased these shoes 2 weeks ago after injuring my foot and I needed a shoe that would provide ankle and side foot support. These shoes are just what I needed. I expected them to be heavy, but they aren't and my feet aren't tired at the end of my work day. Generally hardly any shoe fit into my requirement, as i have wide and flat feet, selection of shoe become and herculean task. with most of the shoe,i end up hurting myself. Since I bought these shoes my feet no longer hurt at night. They are so comfortable and I feel as if they support them very well. Best money on shoes that I ever spent, and worth every penny. I am so pleased once again, with the Chamaripa Athletic Trainers Sneakers Shoes. Because they are extra wide, they fit like a glove, for someone needing a wider fit. I walk several miles a day, and stand in them for hours, with long lasting comfort. Chamaripa has done it again with such a special product. I am fan of Chamaripa brand as they nvr disappoint me. From the first time I put this shoe on my foot, it has felt great. I am a teacher and I am on my feet most of the day. At the end of the day, my feet aren't tired or sore, and it looks great with whatever I wear. It's also been great for walking. I have never been disappointed in Chamaripa shoes. I purchased these because I wanted good sole padding when doing aerobic workouts at the gym. They have not let me down. I jump rope and the sole is thick enough to provide a good amount of cushion for the impact. In addition, they are comfortable and are a true fit to size. I feel that I have the proper amount of support around my feet and they have become my exclusive gym shoes. In fact I like them so much I am considering getting another pair for every day use. I bought these shoes about a month ago. I have to be careful to make sure I get good support in my shoes due to having some issues with my feet. I've been using top branded shoes and now decided to try the Chamaripa. I'm very pleased and have more money in my pocket because of the price difference. I purchased these shoes for my son to wear to work. He has casted arch support which he wear for each foot. He works at a grocery and is on his feet all day. Other shoes tend to squeak as he work all day. He said that they are very comfortable and he enjoys wearing them. I wear these for work as part of my uniform which requires black shoes. I am on my 2nd pair and ready to purchase a 3rd as my 1st are worn out and I like to rotate my shoes. It is hard for me to find shoes/sneakers that are appropriate and comfortable while also sturdy enough to hold up to the demands of my job. My original pair was purchased back when these were first on the market and lasted longer than previous styles I have tried. I will continue to buy and wear this style until they are no longer available. Hopefully by that time I will be stocked up! Needed to replace my outdoor soccer ref shoes, and thrilled that I could get an exact replacement! These are water resistant, supportive and easy to run in. They're not the most comfortable shoe, but they're great for what I need.They protect my foot soles from the hot Dallas summers, and keep my feet warm in winter. My former shoes lasted about 3 years! I bought one pair and found it to have great support something more expected from a leather shoe. So I wore it for Golf and found it comfortable and very stable for Golf. When I swing my clubs the shoe was as good or better then my golf shoe. a good alternative as a all purpose sports shoe. The shoes look good that is the reason i bought them. I bought them a size big so they would be comfortable but when i put them on they were very tight. I was hoping they would loosen up but unfortunately they did not. I had to return the shoes and It got replaced at free of cost and service was courteous and prompt. Really a great product * I've been wearing sneaker-shoes well over several years, & these definitely don't disappoint. This apparently is the perfect type of shoe for me. I instantly noticed the comfort fit, & feel, Very good insulation / shock absorbing /well balanced support. Truly a well designed comfortable shoe. The Black/Grayish white goes very well with my scrub - uniform too. This is the third or fourth of these shoes I have bought. My feet are very hard to fit, and this is one of the few that fits me comfortably, but I keep having the same problem. Within a few days of starting to wear the shoes, they start to squeak! It drives me crazy. I wear an orthotic so I remove the footbed, but I wear orthotics with other shoes and they don't squeak. What is the problem? Is it cheap materials? I have very good luck buying shoes in size 11 and I bought a pair of these in that size and they were a little small in all dimensions so I needed to move up to an 11.5. Despite this minor issue, these seem to be good shoes and the 11.5 size shoes are comfortable. My purchase was made only a few days ago, so I don't know how well they will hold up over time. I,m on prob. on my sixth or seventh pair of these shoes,and i love the shoe.I find it hard to find a shoe that fits and this one does fit very well and the price is reasonable.The life of the shoe is where a little short coming takes place,don't dare get these shoes wet from walking in grass,they have a bad habit of separating from the sole.If companies would go back to the stitching around the sole to the leather,this would not happen,otherwise i love the shoe,but $$.$$ a pair adds up when you have to buy 3 pairs in a year.Just saying the stitching would prob. fix this issue or waterproofing the shoe,or waterproof glue on the sole,because you don't have to soak the shoe inside for this to happen.Thank you for listening. Just bought my husband yet another pair of these shoes, have lost count how many he’s had over the years. They are super comfortable and supportive as his works shoes, yet nice enough to wear outside of work as well. I like the sturdy sole, which provides support all day long. No break in required. I buy these shoes for my uncle. He is a dairy farmer and with his joint problems, they are super easy to get on and off compared to boots. He says they give him the support he needs to be on his feet all day. He loves them and it is all he wears! and we found this in Chamaripa. We received them at home in 3 days. The shoes are sturdy and comfortable. Great price and even better customer service. My husband likes his shoes and the support they give is exceptional. I did't intend to spend too much on branded shoes, so bought Chamaripa shoe and use it for a quarter and buy a new pair.Really loved the product. I bought this lovely one for my father. Fits really well. He loved it too. Exactly like the picture. Comfortable,soft and light weighted. I have never had such expectation that this product will be a value for money. I am so delighted that I have chosen this product for running and walking purposes and that too in this price range. Just go for it. It is lightweight, value for money, fits so well, comfortable and many more. I love it, very nice shoes for the gym, it feels so comfortable. I'm 9 sizes but I decided to order a 10 just in case and was perfect. So if you going to buy this shoes I will recommend ordering 1 size more. After all, those shoes are so cool. Thanks again for being a loyal customer and writing this awesome review. Comfortable shoe and very stylish. Looks almost like a Nike, but without the logo. I enjoy having a shoe without the logo on it! Great shoes. Smell fresh right out of the bag, and since they have no lip they are super comfortable! I am starting to buy more of these kinds just because of that. I highly recommend them if you are looking for some cheaper shoes that still get the job done. i have been buy all my shoes, boots, sandals & sneakers from chamaripa shoes for years now and have always been extremely happy with the service & the product. Nice shoe for the money and fast shipping too. Great selection. Products are well displayed. Checkout is easy. Shopping experience has gone well. The site is easy to navigate. So far so good, looking forward to receive my shoes! I have always been happy either by the shoes or the service. Great customer service, will buy again and recommend to others. Very easy website to use. Thank you so much and happy holidays to you and your families. 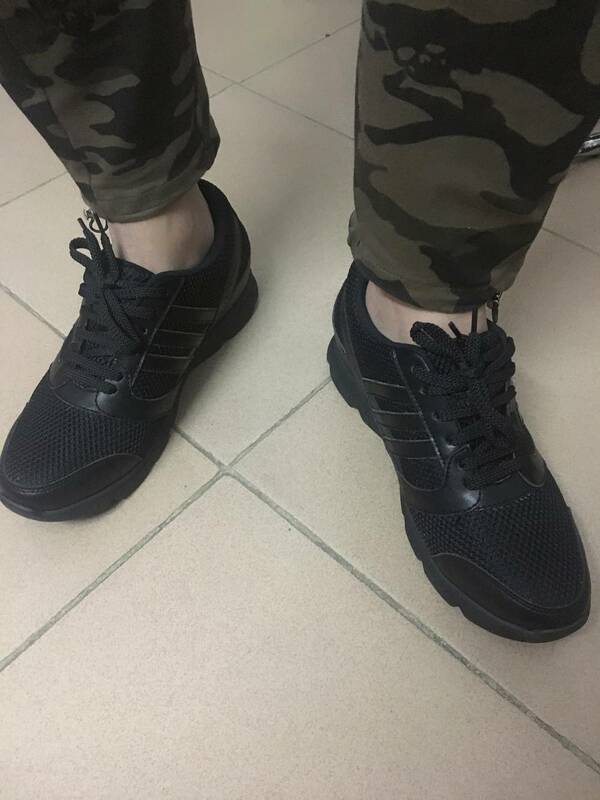 Great looking shoes, very comfortable and fit as expected. I've received several compliments while wearing them. I purchased this as a gift for my boyfriend, who happens to be a bit shorter than me (I'm 6' 1", he's 5' 10.5"). I had no idea how practical these shoes would be, but I thought it would be fun for him to wear "once in a while" when we're home alone together. When I got them, they were gorgeous and I was very impressed with the quality. When he tried them on, BOOM, he was a little taller than me for the first time in our relationship (fun! ), but that wasn't the best part -- he found them ultra-comfortable, and wore them for an outing we had planned later that night. He said they didn't make his feet hurt at all, and could see himself wearing them regularly! Really unexpected. Also, for those with wide feet like my guy, I ordered a half size up and it fit him perfectly! So 5 stars, no question. My brother LOVES these!! They breathe, they slip on with no socks needed and they are comfy. I'm so happy I got them for him. He wears 10.5 and I got 11 and they fit great. Great quality pair of shoes at a good price. Very pleased. Fit as expected. I love these shoes and I wore them to the gym, I was on my feet the whole time. I most definitely would order these again. These are good everyday shoes. My husband wears them often and we re-order/buy them whenever the older pair wears out. They take a lot of abuse and they look great over time. They're not luxurious shoes, but they're good everyday shoes for casual wear. products are worthy 5 stars. I was honestly so surprised to see the sports that I've been looking for on this website for such an amazing deal! On top of that, my shoes fit for my feet! Amazing! Love this shoes. I bought 2 other elevator dress shoes. Very light and comfortable. Good for walking and running.